Stomach aches are common symptoms of harmless conditions including indigestion, cramps or motion sickness. It can even lead to varying degrees of discomfort and related signs and symptoms. You can experience mild to serious pain in the abdomen or stomach, bloating, nausea, diarrhea, stomach cramps, gas, and vomiting. Stomach aches can become a distracting discomfort which can help in preventing people from some of their daily activities. Some common causes of stomach aches may include gas, indigestion, constipation, heartburn, a stomach infection, lactose intolerance, and overeating. Nevertheless, stomach pain could also be caused by more serious issues, such as a hernia, an ulcer, a urinary tract infection, gall stones, and appendicitis. Fortunately, there are a plenty of natural remedies that can help you treat stomach pain. Read on this entire article to discover some of the most effective treatments for stomach ache and then try to follow them for good. This is actually the very first tip on how to treat stomach ache fast you should keep you head in and start making right from today if headache is really a big issue for you! Chamomile can help you ease the stomach ache. It works as an anti-inflammatory and it also relaxes the muscle of the upper digestive track. When it relaxes this muscle, the contractions can help to ease the pain of spasms and cramping. You pour hot water over a teabag of chamomile tea and then cover a mug. Alternatively, you can use place 1-2 tsp. of dried chamomile in a mug. Cover it with hot water and then cover this mug. Allow it to steep for about 15-20 minutes. Rice water is exactly the water left-over after cooking rice. It works as a demulcent, which relieves inflammation by creating a type of soothing barrier over the lining of the stomach. Cook your rice with twice the water amounts. Place rice in a pot and add the water, coking over medium heat. When the rice starts to get tender, remove the rice from the heat and allow it to soak for about 3 minutes. Drain and then drink the warm rice water, adding some honey if desired. If your problem is indigestion, warm lemon water can help deal with it. The high content of acidity boosts the production of hydrochloric acid that helps break down the food. By increasing the amount of HCL, you help with your healthy digestion. Also, you get the added hydration too, which keeps the digestive system flushed and smoothly running. 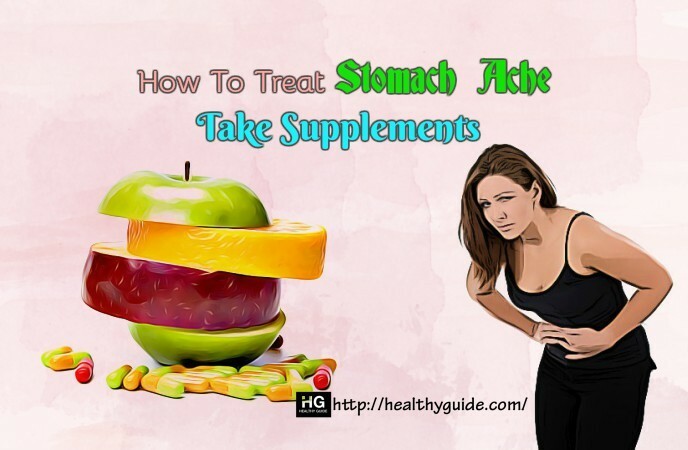 This is in fact one of the most amazingly healthy and useful tips on how to treat stomach ache in women and men naturally at home that you should ever look down at all costs! When it comes to learning how to treat stomach ache fast, you should not skip out the fact that peppermint tea can help you relax stomach muscles. Also, it helps improve the bile flow, which helps you properly digest. According to a research , peppermint tea is effective helpful if you are suffering from bloating or indigestion. You cover 1-2 tsp. of dried peppermint with a cup of hot water. Allow it to steep for about 5-10 minutes. Slowly sip while it is still warm. Alternatively, you can chew on fresh peppermint leaves to ease stomach aches. 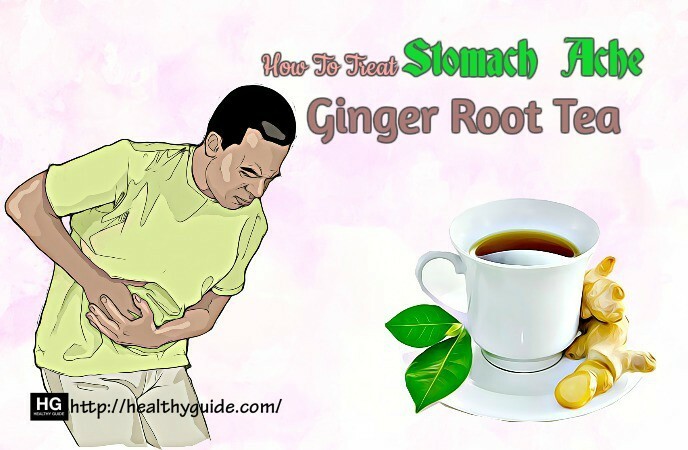 Another tip on how to treat stomach ache naturally at home for men and women that we would like to show you here is the use of ginger root tea. People have used ginger as a cure for everything from nausea to pain for a long time. Also, studies  have proven that ginger can be effective in treating some kinds of stomach pains. Being a natural anti-inflammatory property, ginger is found in many products, and all of them can be helpful. Chew on ginger and supplements are so easy for some people to take. Some other people prefer adding ginger to their beverages. Ginger has natural chemicals called shogaols and gingerols. These chemicals can help you relax muscles that line the intestinal track, and thus relieving stomach cramps or stomach aches. Besides, ginger root is also good for easing nausea that may go along with a stomachache. Sipping on some warm ginger root tea can be useful as a natural treatment for stomach aches. You wash, peel and then grate 1-2 inches of ginger root. Then, you bring 1-2 cups of water to a boil and add ginger. If you want to get a more concentrated drink, you can use more ginger and less water. Boil for about 3 minutes and simmer for additional 2 minutes. Remove it from heat, strain and sip slowly. You can add honey to taste. Another tip on how to treat stomach ache naturally at home that you can make use with just a little to no amount of money is the use of aloe vera. It is simple that you just need to consume aloe vera juice. In fact, the juice of Aloe vera has been well known to ease the pain of stomach cramps. Also, according to a report , it helps with constipation and indigestion too. Asafetida is also a great thing to do if you want to learn how to treat stomach ache in women and men naturally at home. It contains anti-spasmodic and anti-flatulent properties that may help you get rid of stomach aches caused by indigestion or bloating. Add a pinch of asafetida to a glass of lukewarm water. Mix it and then drink 2-3 times a day. Also, add some rock salt. This home remedy is effective in treating both stomach ache and bloating. Alternatively, you can add 1 tsp. of asafetida to a cup of lukewarm water. Then, you soak a soft cotton cloth in this solution and place it on your abdominal area for about 10-15 minutes. This will help ease the stomach pain. Repeat this home remedy a couple of times a day. According to a research , yogurt is really good for your stomach and your overall health. Actually, yogurt has live cultures that improve digestion and reduce stomach pain caused by indigestion. 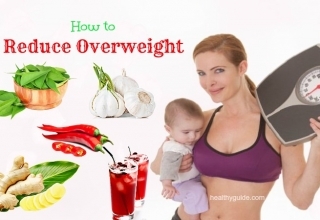 With just some simple steps to follow, you will know how to treat stomach ache naturally at home without having to use any type of medical intervention. You mix 2 tbsp. of plain yogurt and some salt in a cup of water. Then, you add 3 tsp. of juice from some fresh coriander leaves. Mix them in ½ tsp. of cardamom powder. Drink this mixture about one hour after you eat your meals in order to ease your stomach ache. Alternatively, you can eat plain yogurt a couple of times a day until you see an improvement in your health condition. We cannot forget about the power of baking soda and lemon if we are mentioning how to treat stomach in women and men at home as the combination of these two ingredients is really amazing! Being an alkaline, baking soda helps restore the pH balance in your body and deal with infections, thus relieving stomach aches and bloating. Besides, lemon is a great source of vitamin C, which is a powerful antioxidant that takes out the free radicals of the body. You add 1 tsp. of baking soda, the lemon juice from one lemon, and ¼ tsp. of salt to a glass of lukewarm water. Drink this solution immediately before you see the fizz fizzle out. Use this home remedy 3 times a day until your abdominal pain is reduced. Note: Never use this treatment in case you suffer from high blood pressure or you have a low-sodium diet. Most of the over-the-counter antacids have baking soda as their main ingredient. So, next time make your own antacid. Simply, you dissolve 1 tbsp. of baking soda into a glass of lukewarm water and then drink this slowly. Repeat this home remedy every few hours until you feel better. Apple cider vinegar reduces nausea by getting unwanted nutrients in your stomach. Simply, mix 2-3 tbsp. of this vinegar into a glass of warm water. If you do not like the taste, you can sip on it every few hours until your nausea disappears. Why you have to spend time for expensive and harmful medical intervention when you just need to stay at home and make use of this simple ingredient? It is one of the best things you can make use when it comes to how to treat stomach ache in women and men at home naturally. Check it out yourself and feel it! Lime can help you ease a stomach ache. Combine the club soda with lime and you will have a drink to sip on to get rid of the pain. In case you overate and had a stomach ache, the carbonation found in club soda may stimulate you to burp, thus easing pressure in the belly. Also, it has been proven to help with indigestion and constipation. You mix about 8 ounces of cool club soda and the juice of ½ lime. You stir it and then slowly sip. If your stomach ache is caused by indigestion, chewing on fennel seeds may be helpful. This is because they contain anetholethat can boost the secretion of digestive juice. Also, it can help deal with inflammation and simultaneously reduce the stomach pain. In case you suffer from gastritis, this may offer an instant relief from the discomfort. Alternatively, try adding 1 tsp. of crushed fennel seeds to 1 cup of hot water and allow it to stay for 8 to 10 minutes. Turn off the heat, let it cool on it own and strain it. Add some honey and drink the tea slowly. This is also among the best tips on how to treat stomach ache in women and men naturally at home that you should never skip at all costs! In some cases, people who have nausea or abdominal pain need a bowel movement. Before trying anything else, then try visiting the bathroom for a couple of minutes with the knees drawn up to the chest. Naturally, this position stimulates bowel movement without causing stress. Never try to force a bowel movement by pushing or straining. Stomach aches can be caused by muscle constriction. So, you can ease this by performing a gentle massage. 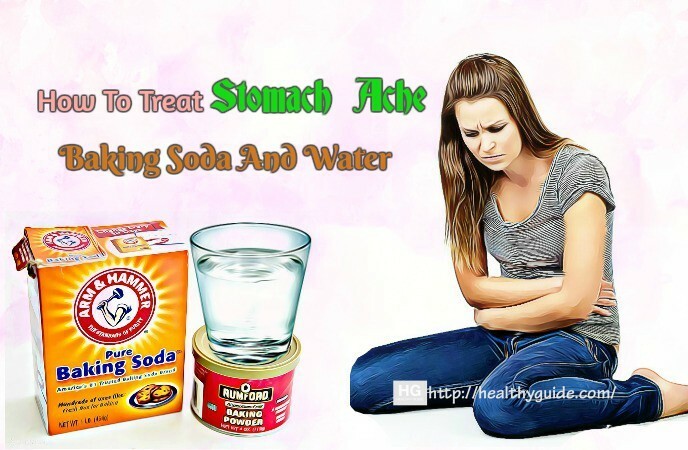 This is a very easy tip on how to treat stomach ache in men and women at home that you can apply right from now! Simply, apply gentle pressure to some areas of the stomach and back. Focus on areas where you feel painful, but do not overdo it or rub it too hard. While you are massaging, focus on breathing in through nose and breathing out through mouth. Deep breathing can help you relax your muscles and stop your stomach aches. Warming the stomach area can help you relax your muscles, thus reducing any cramps or tightness. Use a warm compress, hot-water bottle or electric heating blanket and then place it over the stomach area for a couple of minutes. Taking a hot bath will increase your blood circulation and this help relax your muscles. This can treat abdominal pain and relieve stress you are experiencing. Take a hot bath for about 15-20 minutes and add 1-2 cups of Epsom salt to help you draw inflammation out. Indigestion is often caused by eating hard-to digest foods that cause pain and increase the production of acid. So, one of the best ways to deal with indigestion is to find out which foods cause your dyspeptic symptoms and removing them from your diet. This can be helpful when your clothes can have effect on indigestion as well as acid reflux. Tight waists on skirts or pants can put pressure on your lower esophageal sphincter, causing stomach acids to increase your esophagus. Keep reading the article for more useful tips on how to treat stomach ache fast and naturally at home without spending much time and money on medication. Hydrochloric acid supplements, digestive enzymes and peppermint oil are 3 common supplements that can have a positive effect on your digestive health. For instance, taking peppermint oil gel capsules has been proven to cure indigestion for up to 3/3 of users. No matter which supplement you try, make sure to follow the recommended dosage and ask your doctor in case you have any unwanted side effects. This is in fact one of the best tips on how to treat stomach ache naturally at home for both men and women that you should not look down! A common cause of stomach pains is constipation. The body has to move its bowels, but in some cases, something is impeding or blocking this movement. To deal with it, you can eat or drink fiber-rich foods such as bran, prunes or broccoli. Prunes are powerful because they have the natural laxative sorbitol. Prune juice is good for stimulating the bowels and help them move. Drink 2 glasses daily, after waking up and before going to bed to help with your constipation. Coffee can also encourage the digestive tract muscles and help with a bowel movement. However, do not drink it too much. Coffee is a natural diuretic, so drinking it too much can cause dehydration as well as exacerbate constipation. 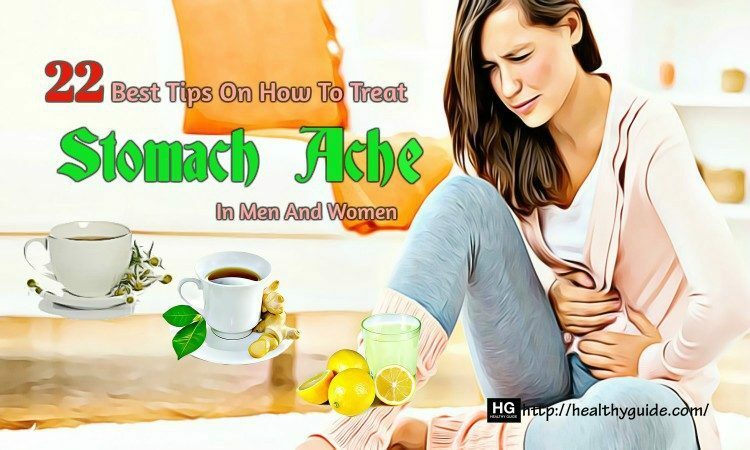 This is the very last tip on how to treat stomach ache in men and women naturally at home that we would like to introduce in the entire article today and want readers to learn and make use for good! You should take a rest after eating and before doing physical activity to help your food be well- digested. In case you exercise right after eating, there will be interruptions in your digestion, causing a stomach ache. So, sit upright for up to an hour after mealtime. In case you have just had a meal with high content of fat, you have to wait for 2-3 hours before doing any vigorous exercise. When you experience a stomach ache, you may find difficult to concentrate on anything. 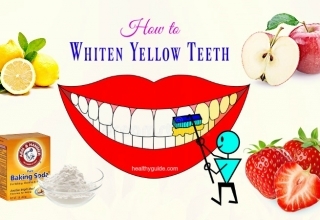 But, try to follow some simple home remedies as I mentioned above to give you an instant relief. These home remedies are really effective in treating stomach aches caused by indigestion, bloating, gas as well as other similar conditions. 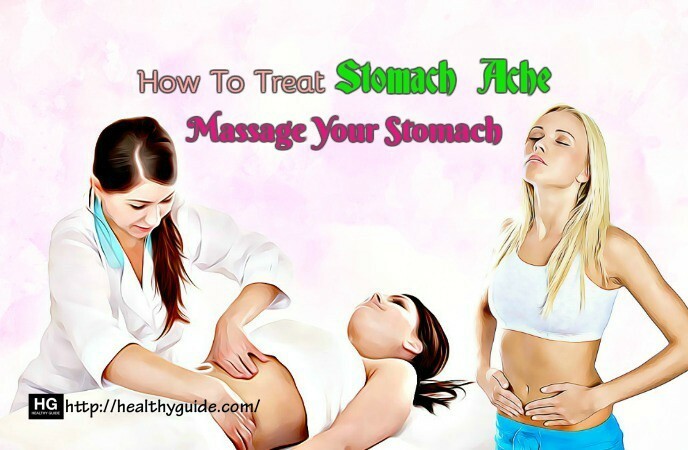 After reading this article about how to treat stomachache naturally, I hope that you will find the effective ways to deal with your stomach aches. If you know other home remedies for stomach pain, remember to share them with others by leaving your comments section of the site Healthy Guide. The post for natural remedies of stomach ache bring ideas in my behalf since on how to moved for remedy which can be got few of stated herbs in outdoor garden. Very interesting facts add my knowledge in learning about natural remedy and not suffering any side effects. For its healthy life living when illness be treated on herbs and vegetables therefore I encourage each and everyone to go for natures provides medicines which can be find on the ground.. Thanks for health related post. I also loves this post like the previous comment as I love natural remedies. 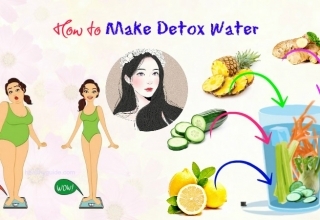 Stomach ache is a very popular issue that many people all over the world my have to suffer from every single day, especially those working hard and do not have time to eat properly like me. I am really scared of using medicines so that I really love things come naturally like such tips this article revealed! I will try them whenever I need them. Thanks for sharing such wonderful experiences! Stomach ache is the stubborn issue that I often have after eating too much, especially before bedtime. Thank you for sharing such useful information, tips and remedies to stop this issue at home! The tips and remedies are guided very clearly with details so that everyone can make use without the help of medication! Thanks again and hope you go well!